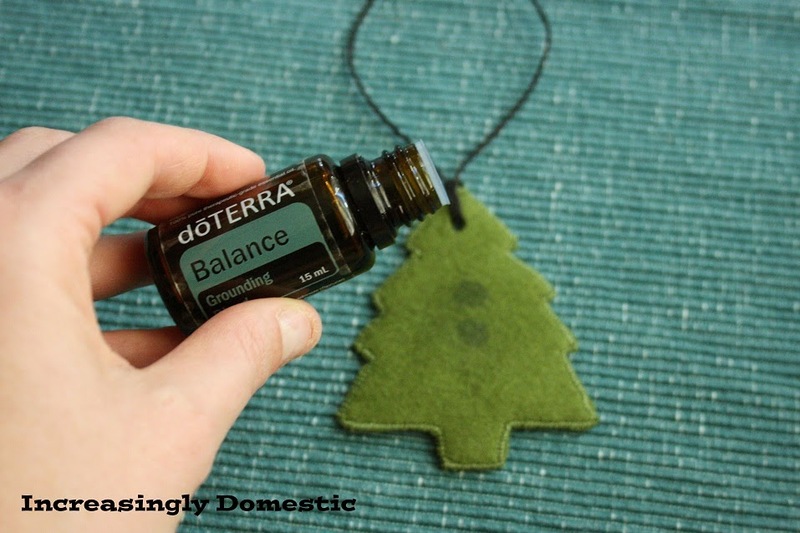 I have been using essential oils for over a year now and love how very versatile they are. I literally use essential oils for everything; health care for my family and my pets, pain management, cleaning, cooking, skin care, hair care, pest control, sleep, hormones, moods & emotional health. They have pretty much changed my life. then here's just a small example of how I use them in my daily life...in my car! 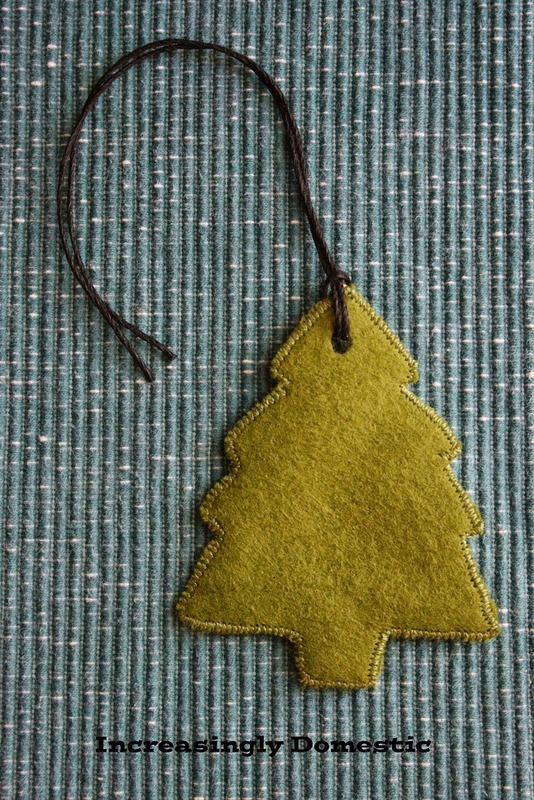 I stopped using those fake tree air fresheners in my car several years ago; they always gave me headaches and made me feel nauseous. Let's get real though...I need something to make my car smell nice. I have 3 children and we are always on the go, so my car is a mess of stinky soccer cleats, muddy shoes and banana peels. For the last several months I have been putting oils on a cottonball & tucking it into the airvent. 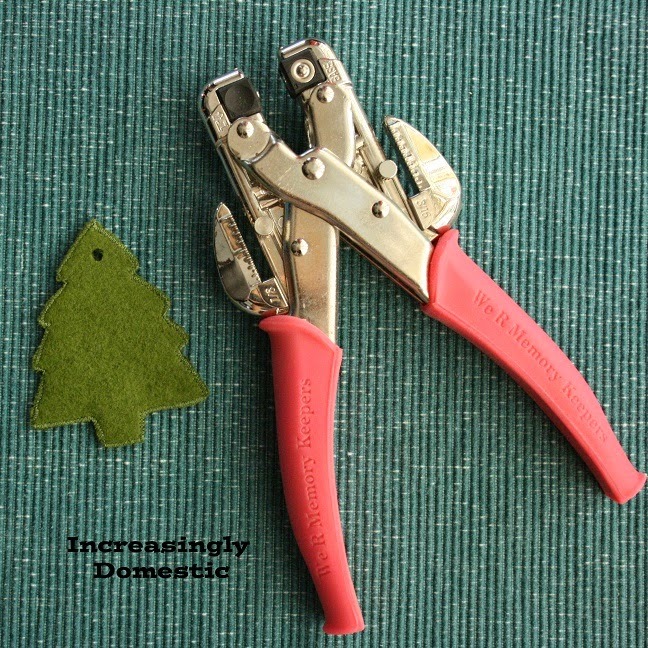 During Christmas baking I looked at the Christmas Tree cookie cutter and thought it would make a great template for a car diffuser. It totally does right? 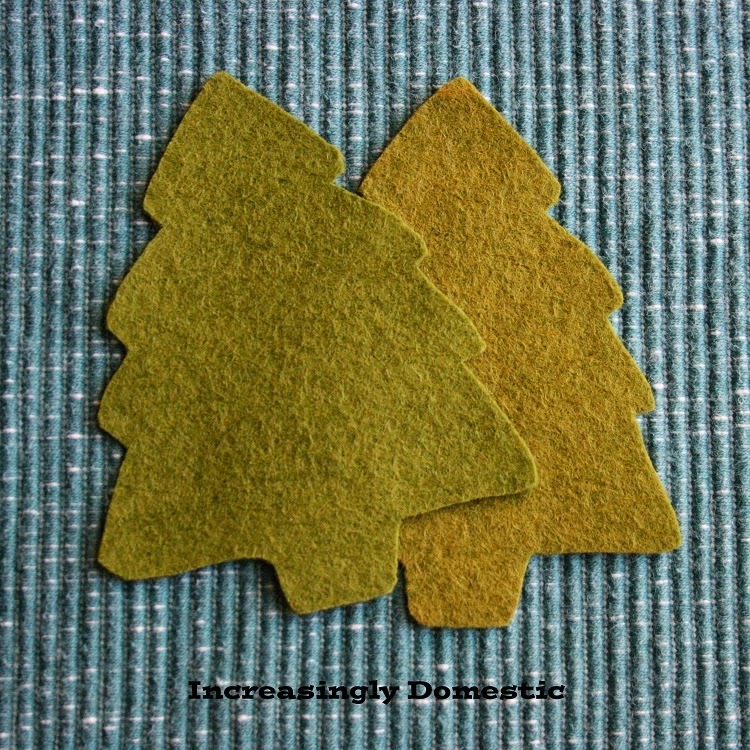 I traced the cookie cutter on two pieces of green felt and cut them out, then I sewed them together using a zigzag stitch all the way around. I made some after this one where I straight stitched along the edge and it turned out equally cute and took considerably less time, so that's definitely another option. Then I punched a hole in the top of the tiny tree and looped some hemp thread through. 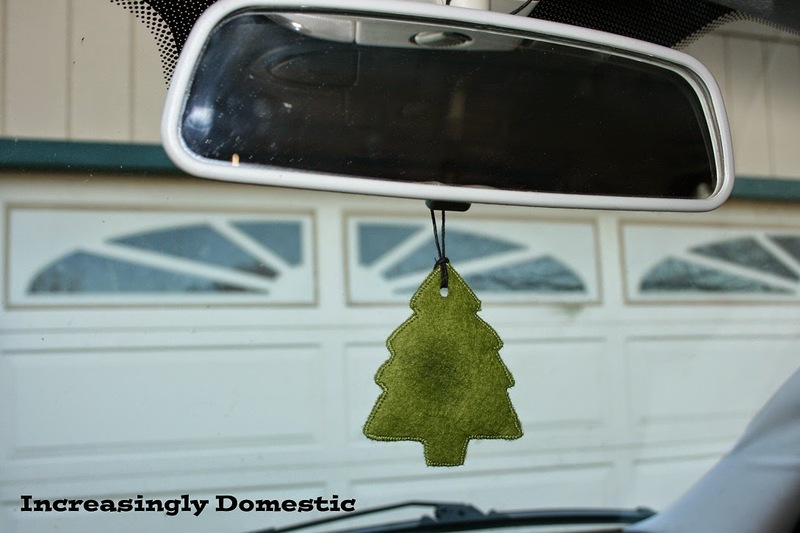 Just a couple drops of essential oil and then hang it on your rearview mirror! When the scent fades, just add a couple more drops of your favorite oil. 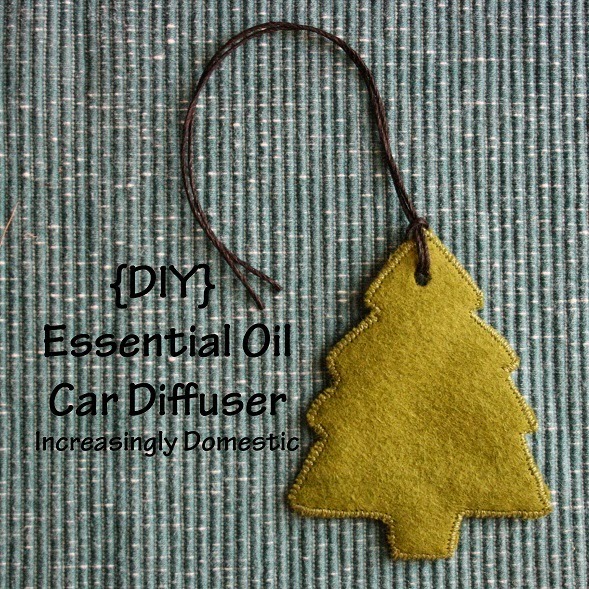 Other oils I love for in the car are Wild Orange and Peppermint, which together are very uplifting and energizing. I LOVE that blend for when I do the long drives for soccer tournaments and visiting family...keeps me alert and focused, which is always a good idea behind the wheel. Oh and it smells divine. Win-Win! I really like this idea for a car diffuser - or anywhere really. I sew a lot and have lots of fabric and felt that I use for embroidery samples - look forward to trying this. Thanks for the idea. I love this idea! These are too cute! The most important thing she’d learned over the years was that there was no way to be a perfect mother and a million ways to be a good one." VERY Extra Special Happy Birthday Balloons!